We didn’t choose the broke student life, the broke student life chose us! If you’re anywhere near Patel Chest or chilling in the lush lawns of Faculty of Arts and are hungry and broke AF then this article is just for you! 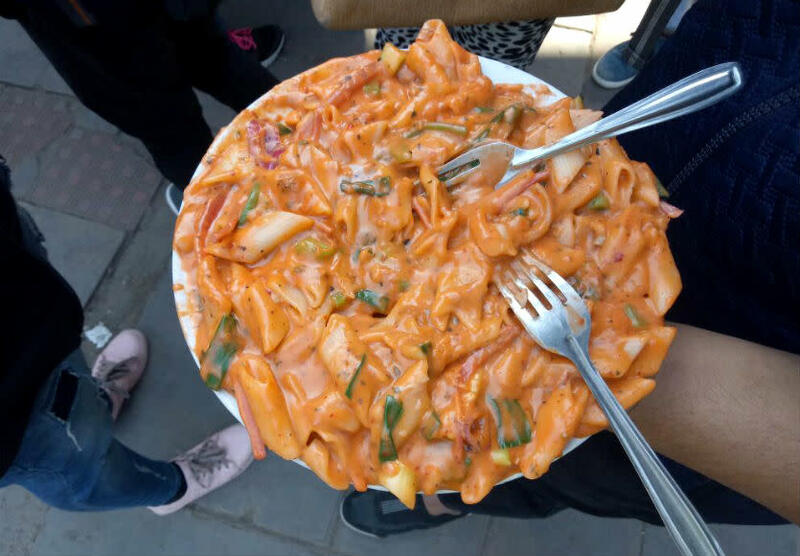 You’ve hit a jackpot here because we’ve compiled this list of 8 foodlets (food + outlets) where you can grab some lip smacking dishes on your shoe-string budget. So, let’s see what we have in store for you! 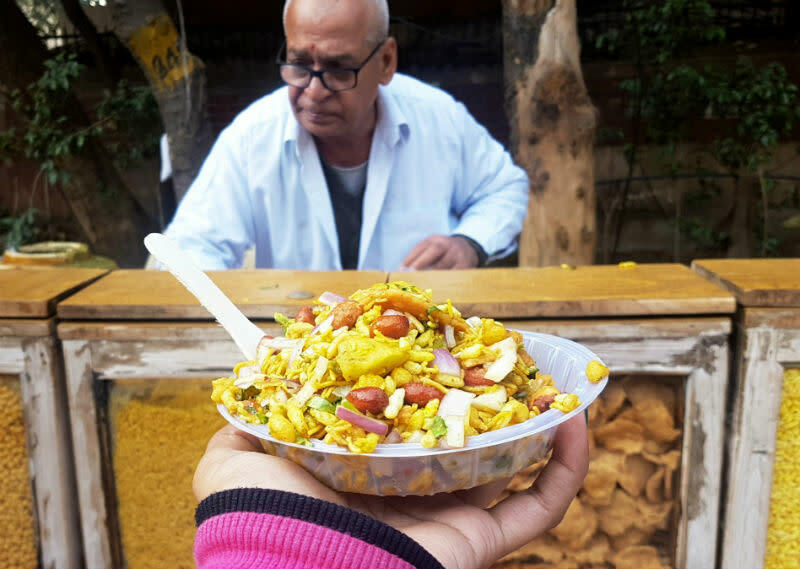 We all love some chatpati bhelpuri and Pinky uncle, as everyone calls him, has been dishing out super delish and flavoursome Bhelpuri and Sev puri for over 30 years now! 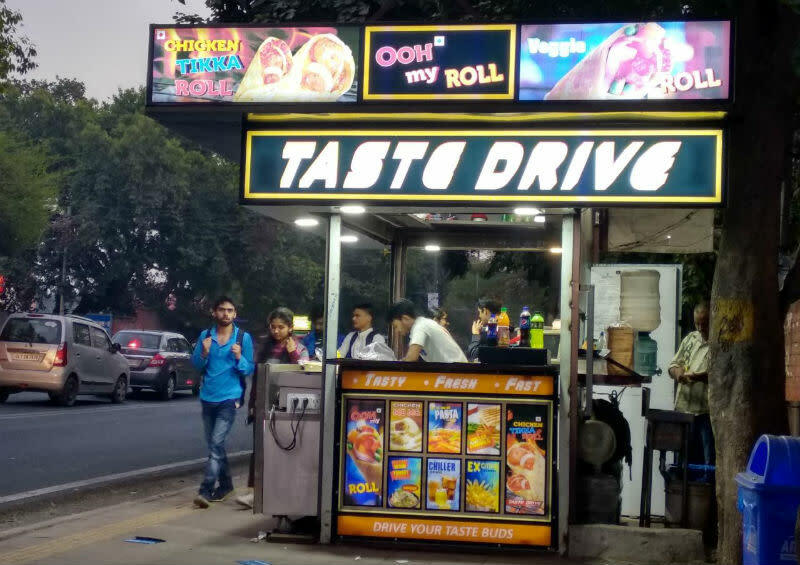 Stationed opposite the Vishwavidyalaya Metro Station, you can head here and munch on some bhelpuri while listening to uncle’s interesting stories. Another one of Faculty of Arts thriving canteens, this one offers you several options. 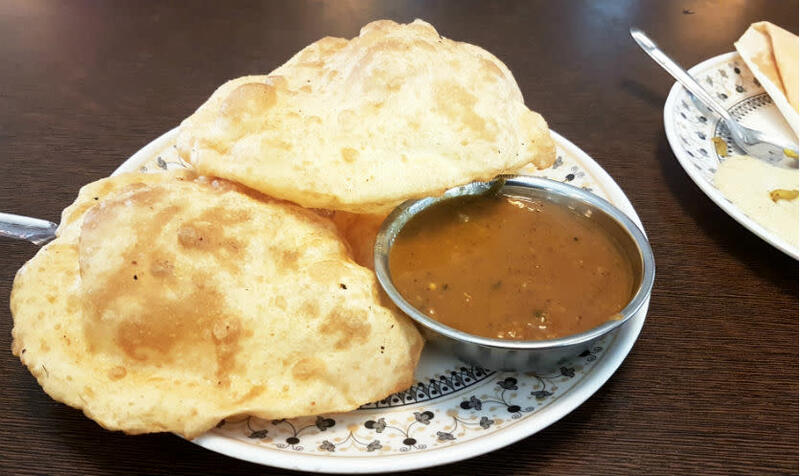 From North India’s mashoor Chole Bhature to South Indian Dosas, you can pick anything! 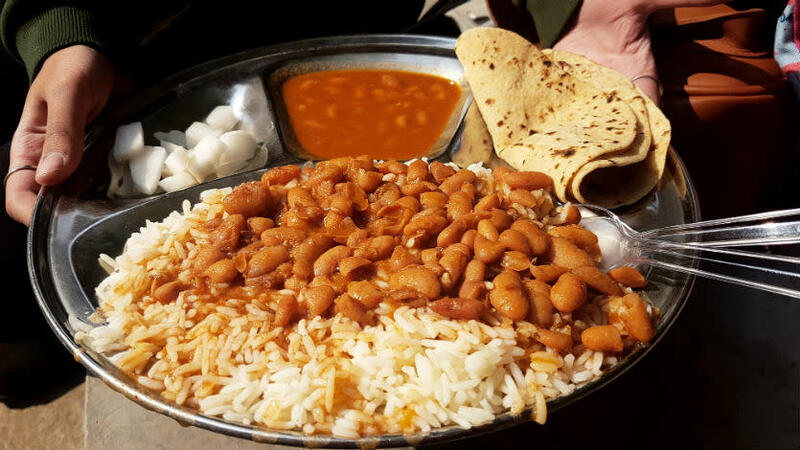 The food here is super cheap, thanks to Delhi University’s student friendly prices. The hankering for ghar ka nutritious khaana finds salvation here with nutritious options such as Fruit Chaat, Aam Panna and Sprouts Laddoo. Some super zesty Chinese food never hurt anyone, right? That’s exactly why you need to check out Hot & Fresh, a food van that specialises in Chinese street food. 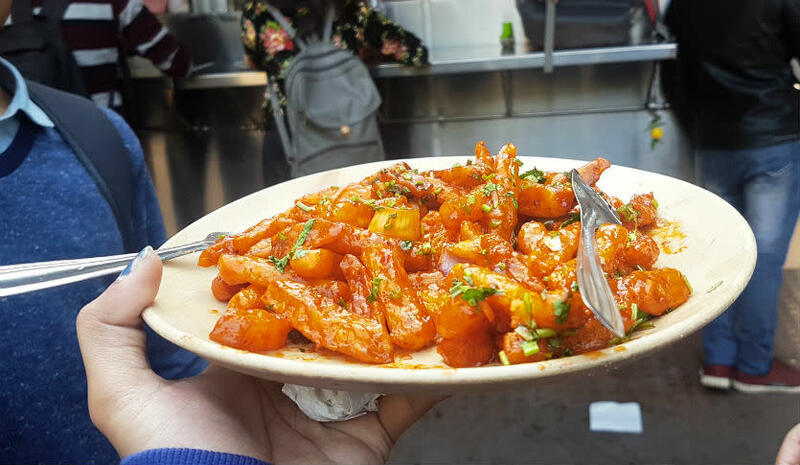 It’s just the place for you if you’d like to satisfy your post lecture hunger pangs with some Honey Chilli Potato or Chilli Paneer without burning a hole in your pocket. This one is a haven for all pasta lovers! Little Hut is a tiny joint that whips up some amazing saucy pasta at super cheap prices along with great and refreshing lemonades and shakes. Their Brownie shake is a hit amongst all the DU peeps, so you might as well give it a try! This one is the go-to spot for all Law and Arts Faculty peeps. With their weekly menu that includes Rajma Chawal, Kadhi Chawal, Aloo Puri and everything that feels like ghar ka khaana, this one’s an absolute hit! They start dishing out the yum food at 11 AM and run out by 3 PM, so you better be on time. 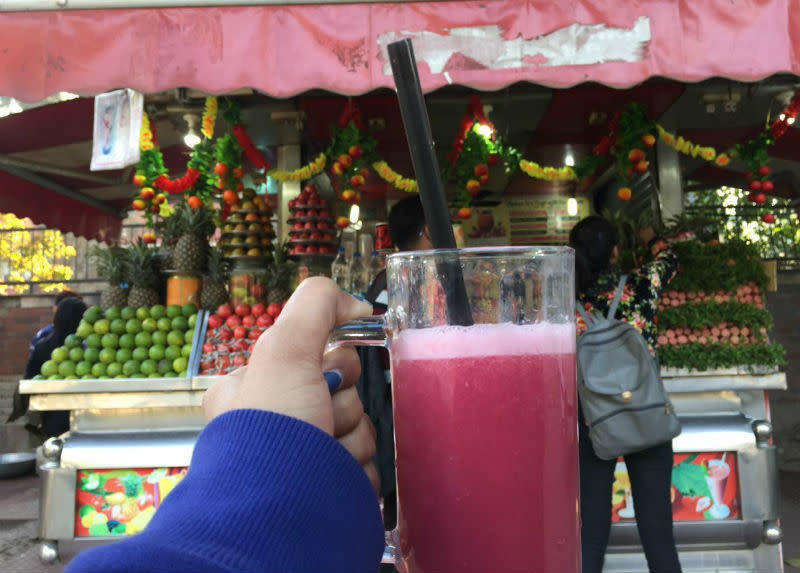 A good glass of fresh juice is a sure shot way to get a healthy energy boost to start your day. And if you’re wondering where to grab them then fret not, because we found just the place for you! Charu Juice corner has all kinds of juices and shakes available and in case, you’re more of a coffee person, they make some amazing cold coffee too. We stumbled onto this one accidently and we’re glad that we did! They are known for their delish momos and kathi rolls and are open in various parts of the city. But we didn’t try them (#DitchTheBasics) and instead went for their Grilled Veggie Sandwich and trust us, it was ah-mazing and definitely underrated. 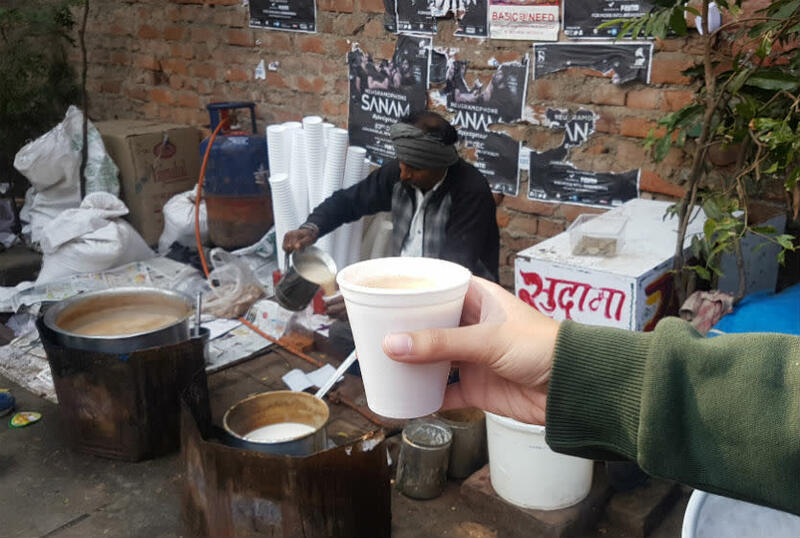 The last and perhaps the most popular of the lot, Sudama ji Ki Chai is the place to be if you want the kadak, perfect cuppa tea! This one is more of a hangout spot than a foodlet as you’ll always find a huge crowd of students with cups of chai and snacks chatting away at this place. Do hit this one whenever you get that next chai cravings! So where’re you gonna be heading today after classes?